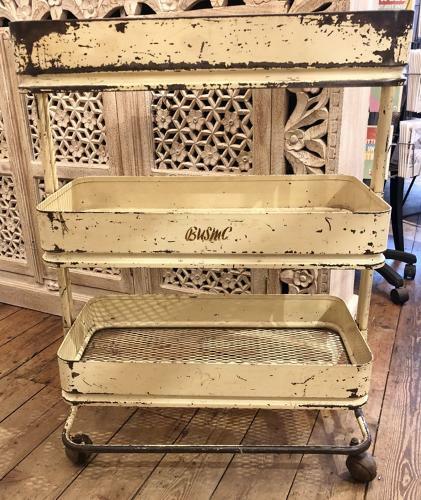 Excellent vintage trolley with lovely time worn original paint. Would be perfect in the kitchen or as a shoe rack. Please contact us for more information.